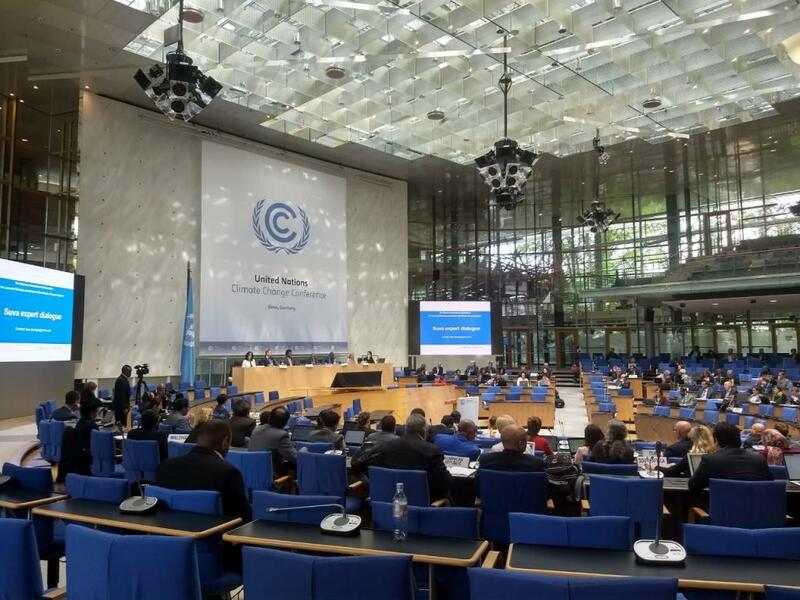 Slow progress in addressing impacts of climate change on agriculture in international negotiations on climate change has continued at the ongoing talks at the UNFCCC Secretariat in Bonn. Negotiating parties have agreed upon the roadmap or agenda to roll out discussions until 2020. The agreement on the roadmap is the first significant agreement since the long overdue decision on a need to jointly address climate change impacts on agriculture was taken during the COP23 in November 2017. After several meetings of the Parties since the current round of talks began on April 30, negotiators ironed out details of the timeline of activities in the run up to 2020 when the reports on the outcomes of negotiations will have to be submitted to the Conference of Parties for consideration. It took over 10 years for any decision on how to deal with agriculture’s vulnerability to climate change and the disproportionate impact foreseen on developing and poorer nations. But unlike the set precedent, the first round of talks since the decision last year gathered momentum rather quickly. Over the course of the first three meetings, drafts of a possible roadmap had been submitted by New Zealand as well as the G77+China group, which represents a bulk of the developing nations that depend on agriculture as a dominant economic sector. The final draft text of the roadmap is heavily reliant on the G77+China’s proposal, though quite a few changes have been incorporated regarding the language since the first draft was proposed. However, the civil society observers' proposal to include definition of food security in the roadmap is not reflected in the draft text issued by the UNFCCC Secretariat. Over the next two and half years, the negotiating group will meet five times to discuss and prepare reports on the work required for each of the six agenda items set out in last year’s decision. The first agenda item is to agree on modalities of implementing the outcomes of five in-session workshops, which were conducted prior to COP 23. The decided timeline for the workshop on this is December 2018, during COP 24 in Katowicze, Poland. Following that, over the next two years, the Parties shall adopt a staggered approach in submitting proposals and discussing the remaining agenda items, which include assessment of adaptation, co-benefits and resilience agriculture, soil carbon and soil quality, nutrient use and manure management, livestock systems, and the socioeconomic and food security dimensions of climate change impacts. The agreement on an agenda to forward discussions is undoubtedly a welcome step but it is also the easiest. Progress in climate change negotiations regarding agriculture is hard to come by. Last year’s decision followed years of disagreements mainly between developed nations with very diverse economies and developing nations—many of which are heavily dependent on agriculture for their economies and livelihoods. The existence of these differences, among several others, casts a shadow of doubt on actual progress that is possible from negotiating table. “This is a good beginning but I am not very optimistic about how these talks will move forward. The systems of agriculture itself are different. You have big industrialised farming on one side and smallholder farms on the other. This changes everything—the impacts, the vulnerabilities, the scale, the solutions and the urgency,” said one of the negotiators at the talks.